We are involved in the export and trade of a vast array of chemical products such as Toluene Chemical. Made in stringent compliance with industrial quality standards; these chemicals are available to clients in a vast array of specifications at affordable prices. 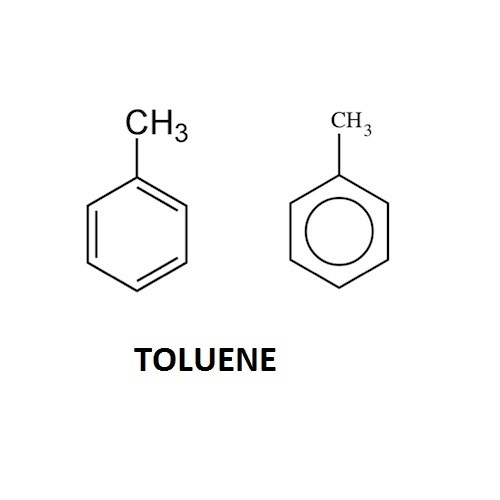 Toluene Chemical products are known for their non-hazardous composition, balanced pH value and chemical stability. Toluene Chemical chemicals are made available to clients in multiple specifications at reasonable market prices. Easy availability for industrial use. Material meeting customer need can be arranged. We Rhythm Chemicals Pvt. Ltd. are a Technology Focused Custom Manufacturer of Wide range of Chemical Ingredients. We started before 12 years in to manufacturing of High Purity Solvents applying high tech distillation systems from Crude / recovered solvents. The Company has been founded by Shri. Dinesh Patel who provides the leadership & strategic guidance to overall organization, who established the unit with a production capacity of 5000 MT / Year, covering entire range of chemicals like Chemical Intermediates and Chemical Solvents like MDC, EDC and so on.